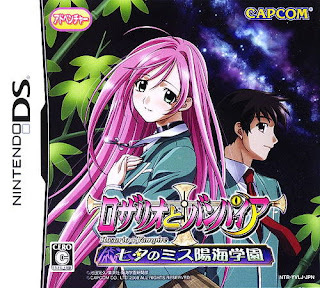 Note: Copy any of the above Rosario to Vampire: Tanabata no Miss Youkai Gakuen (Japan) rom download links and paste it into your browser to download. Please upload the games for nds Madagascar 3,Disney Brave.These games were released in shops. dont post them on this unless its about the rom and if its another link send it to the people who own the site, GOD! If you're the owner of the site, then delete the comments, and/or add the games. If you're not, then why would anyone bother listening to these arbitrary, and apparently new, rules of yours? The site is not being updated at the moment, that's why people are asking for and submitting games here. Because it's the latest post and they hope someone will see their requests/submissions, which some have. Excuse me everyone, sorry for my bad english, would mind tell me how to patch this game, i had already download the game and the patch, but i cant parch, because i dont understand how to patch, and which application to use to patch this rosario vampire game. How Used The Path With This Game? I Don't Know How patched the game why no make one tutorial? My file came up as an unextractable file, and it's file type was "file". any advice?